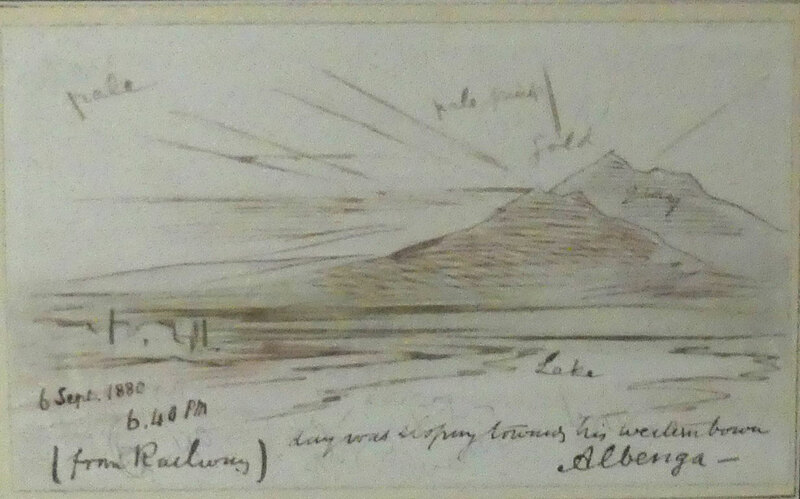 Edward Lear, Albenga from the Railway. Pen, pencil and brown ink with watercolour on paper, 13×7.5cm, framed and glazed. “day was was sloping toward his western bower” is from the last stanza of Tennyson’s “Mariana” (1830): Lear was probably thinking of using the picture for his Tennyson project. This entry was posted in Edward Lear and tagged Edward Lear, Italy, landscape, Tennyson, travel, watercolours. Bookmark the permalink.